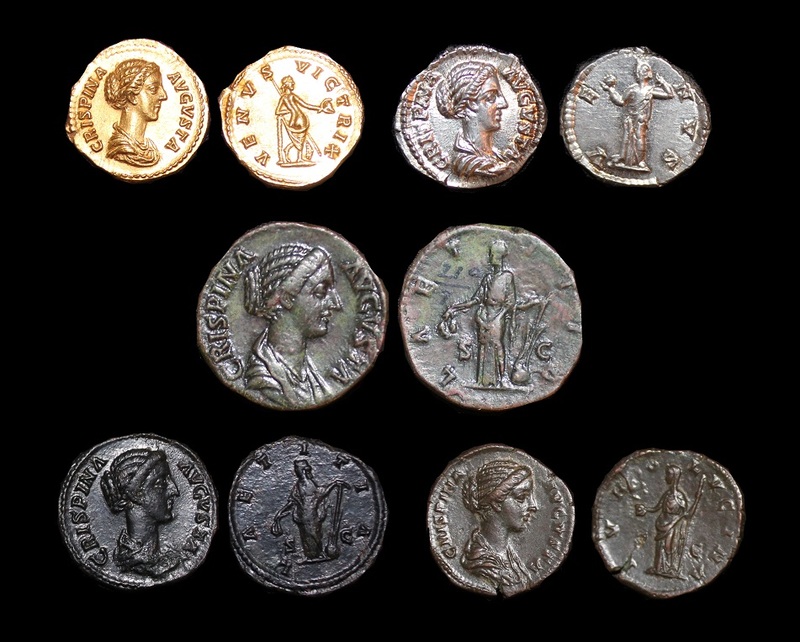 Bruttia Crispina was the daughter of Gaius Bruttius Praesens who had fought against the Germans along side Marcus Aurelius. 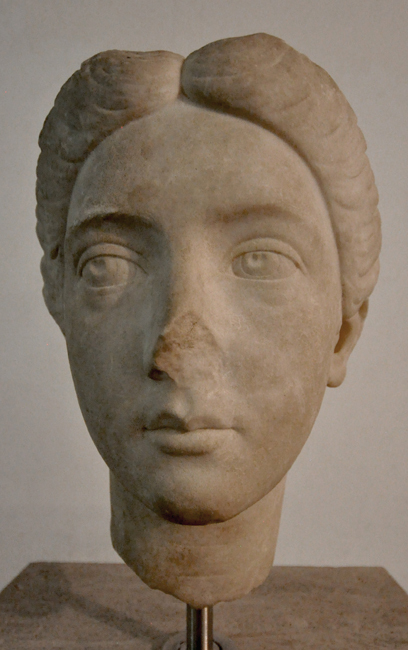 She was married to Commodus in 177 AD when he was only 16 years old. 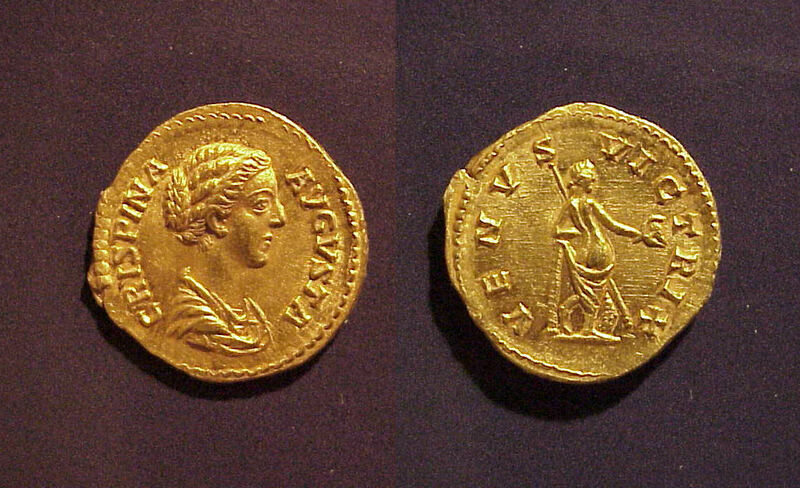 Shortly after their marriage, Commodus left for the northern frontier. About 10 years following their marriage, Crispina was banished to Capri and later put to death on charges of adultery.